NH Attractions: Your Complete Gude To Everything in The Northern Half of NH ~ White Mountains, Lakes, Waterparks, Railroads, Theme Parks -- Everything! 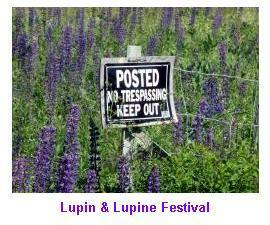 UpStateNH Attractions ~ It's what makes NH fun! Since 1928, Clark's has been a tourist icon. With a railroad, circus themed shows, trained bears, and a resident Wolfman, this is one not to be missed. Formerly Six Gun City, The old west comes alive at here, plus coasters, go-karts and other rides, children will have a blast. The kids will love Storyland, a fairytale theme park nestled in the mountain town of Glen, NH. The rides and activities will entertain your children as they have since 1954. What better way to please the kids than a Christmas theme park with rides, shows and activities and even shopping for the grownups. Looking for some wet and wild fun? Whale's Tail offers fun, sun and lots of slides and water attractions. Biking, running, paddling, white water rafting and cross-country skiing are all available. Get a cool spray off the waterfalls and look at the shafts of light as they go deeper into the cool granite during this easy 2 hour hike. Located just outside Plymouth, at the bridge between the Lakes region and the White Mountains, the Polar Caves offer some great trails, and a bit of geology. Portions of the caves are lit by lanterns, so there's a mystique of spookiness that is appealing. The Appalachian Trail in New Hampshire can be enjoyed by everyone, from the novice to the experienced hiker. 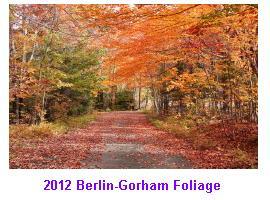 Spring, summer and the foliage can be viewed in the glory from a variety of trails. Don't be deceived by the geography in the area: it may seem flat and nondescript, but visitors discover a 30-foot waterfall, part of an 80-foot total drop. The dramatic and lovely mansion in entirety or portion can be rented for weddings and corporate events. There are a variety of events, and even a "boot camp" fitness series at the castle. Often called the best place to see foliage in the United States, The Kancamagus Highway is now designated an American Scenic Byway for "Its rich history, aesthetic beauty and culture," according to the website. From the first horse-drawn wagons to today's modern vehicles, vacationers on the Auto Road have been experiencing the wonders of Mount Washington's weather, scenery and history for 150 years. Experience traditions, vivid history, deeply rooted farming heritage, call of the railroads, natural beauty, and recreation along the Connecticut River Byway. 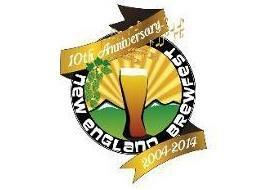 This place not only brews beer, but has a wide variety of lodging available, and serves as a wedding venue. If you like downtowns, history and walks, Jackson has just the spot, especially during foliage season! If you like downtowns, shopping and walks, Littleton has a deal for you!